Good morning, dear friends! Happy August! If you are a regular visitor, you must have noticed how much I love hummus! I have made several versions using different kind of pulses. 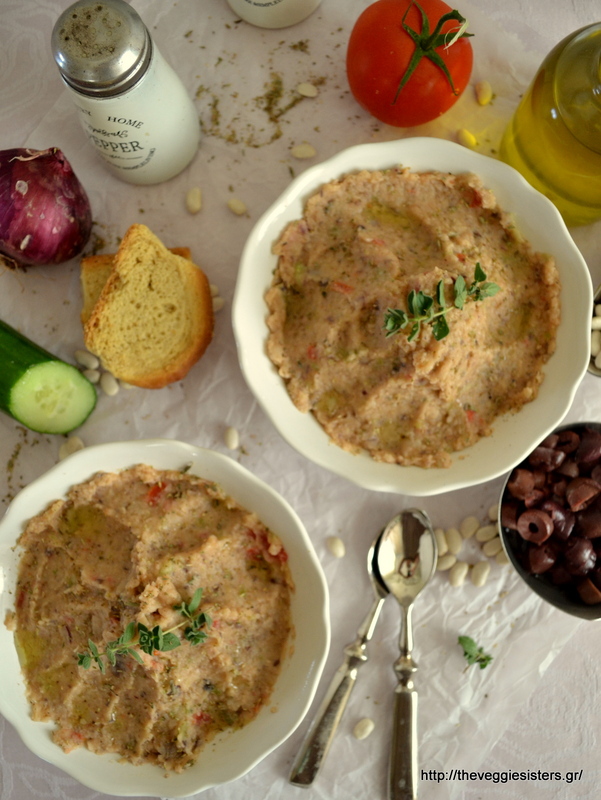 The last one I made the other day is the most refreshing, summery and greek inspired hummus ever! I combined hummus with the ingredients of a Greek salad! The result was amazing! I bet you will love it too! Try it and you will be thrilled, I promise! I am also glad for finally using the beautiful dish my sister Sophia bought me few months ago! Thank you sis! You have bought me the most amazing but hard to photograph dishes! LOL! Happy new week everyone! Enjoy summer, enjoy life! Kisses and hugs! Cok beans. Drain them and pulse them in a blender with the tomato until pureed. Transfer in a bowl. Then pulse the veggies and transfer in the bowl with the beans. Stir to combine.Then addoregano, galic powder, olive oil and season with salt and pepper. Stir to combine. Serve with rusks, bread, grissini, pita. Store in airtight conatiner in the fridge. Enjoy! If you have a food processor, things are easier! You pulse everything at once! 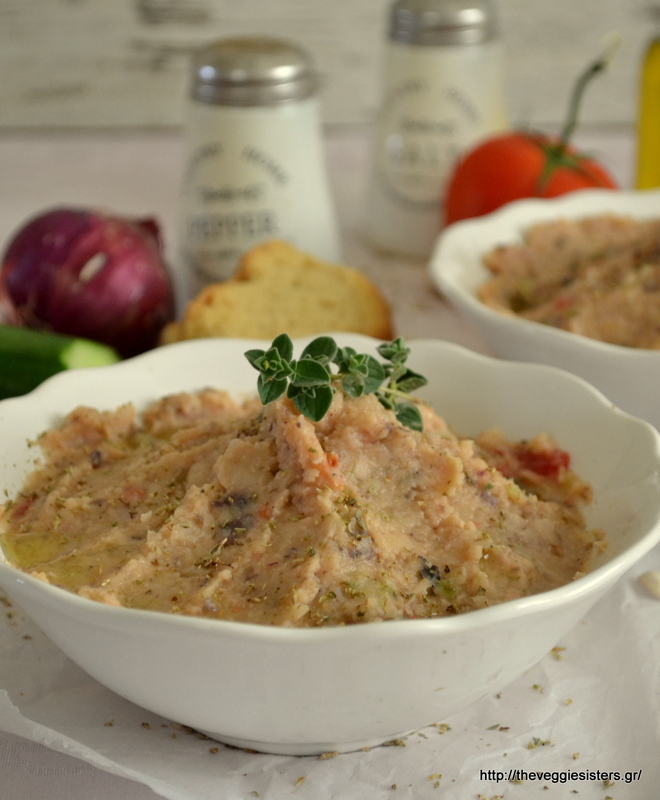 Share the post "Greek style hummus"